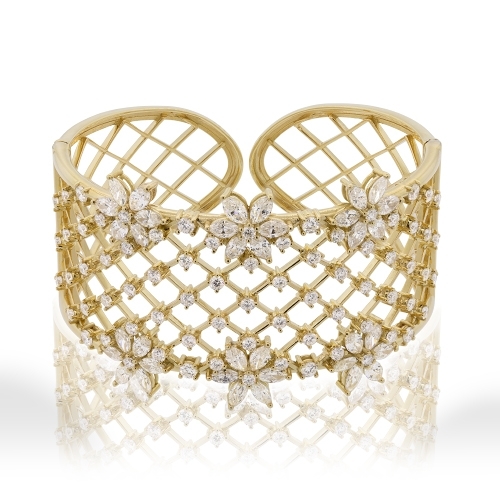 Open diamond cuff set with diamond flowers in 18k yellow gold. Diamonds approx. 10.87ct.